Correction (March 23, 2016): a previous version of this story – and its headline – stated that federal regulators would decide on the border permit (“presidential permit”) the Trans-Pecos Pipeline needs to cross underneath the Rio Grande by April 3, 2016. In fact, there is no set timeline for when commissioners with the Federal Energy Regulatory Commission (FERC) will make a decision on that permit. Rather, April 3 is the deadline for when, according to the FERC, “agencies issuing federal authorizations” are required to “reach a final decision on a request for authorization” for the project. A FERC spokesperson said that statement does not mean that commissioners will make a final decision on the permit by that date, and a decision could come at any time. Federal regulators say they plan to release a completed environmental review of the Trans-Pecos Pipeline’s border crossing section on January 4th, 2016. The Federal Energy Regulatory Commission (FERC) has been reviewing the section of the planned pipeline near the border in Presidio County that would fall under federal jurisdiction. On Thursday, the commission announced a timeline for wrapping up that review. 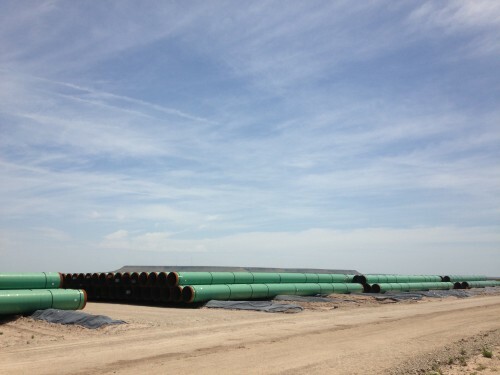 FERC says after it releases the completed review in January, the commission will decide on whether or not to issue a border permit that the pipeline needs to bring natural gas to its final destination in Mexico. The commission says it will send out an advisory if the permitting process is delayed. Energy Transfer, the Dallas-based company behind the plan, previously said it expected a ruling on its border permit application by the end of this year. In announcing the timeline, FERC said it received a total of 625 public comments about the review, including some from Republican 23rd District Congressman Will Hurd and Democratic State Senator José Rodríguez. 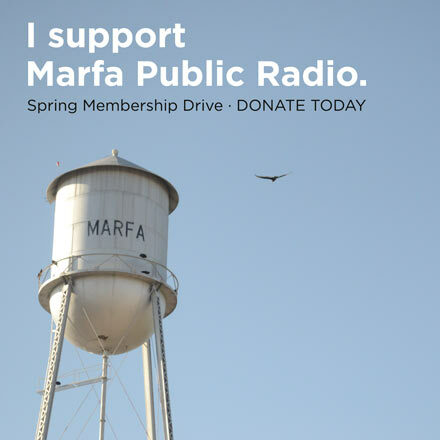 Marfa Public Radio hasn’t reviewed every comment individually, but many of the commenters oppose the pipeline, though some support it. Local pipeline opponents, led by the Big Bend Conservation Alliance, have made that same request, one that appears to be unprecedented. “While it is not unusual for parties to raise questions regarding the scope of the Commission’s jurisdiction in certain types of proceedings, I’m not aware of previous FERC cases that raise issues that are on point with those raised by Brewster and Presidio Counties,” FERC spokesperson Tamara Young-Allen said in July. In its announcement Thursday, FERC said the “primary issues” raised in the hundreds of public comments related to the entirety of the pipeline plan, and that push for the commission to intervene. The commission has said it won’t decide on that issue until it decides on the border permit. Congressman Hurd hasn’t said explicitly whether he’s for or against the Trans-Pecos Pipeline, though he has expressed some concerns about the pipeline company’s communications with the public in the past. State Senator Rodriguez, meanwhile, has said he supports the pipeline, hoping it will open up new natural gas supplies for the border city of Presidio. This entry was posted in KRTS News and tagged big bend, Border Issues, Energy, Energy Transfer, Environment, Federal Energy Regulatory Commission, Natural Gas, Oil and Gas, Trans Pecos Pipeline. Bookmark the permalink.